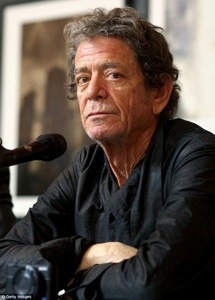 Lou Reed, friend of the art world, Transformer and Musician died today age 71. Reeds band Velvet Underground was originally managed by weird art guru Andy Warhol and he went on to collaborate with the likes of David Bowie and more recently, rock heavies Metallica. It is reported that Reed recently underwent a liver transplant. Lou Reed was 71. RIP.